For six years Republicans have promised to repeal the Affordable Care Act. Now it appears that the new administration is set to do so. As a result, across the health insurance landscape, people are preparing for tectonic changes… maybe? The plan for a replacement is sketchy at best right now. Americans are waiting to see if repeal will leave millions of Americans uninsured, and what that will mean. Insurers are currently being paid for offering marketplace coverage through the ACA, when the law is repealed, insurers could find themselves in a shaky, if not calamitous, financial position, and that is causing some concern in the business sector. Some Republicans have discussed a gradual phase out of the ACA marketplace. Some ideas have included allowing people already enrolled to keep plans for another year or two while Congress comes up with something new. That being said, there is nothing about an incremental application of Republican plans that makes insurers feel good. The immediate possible effects of repeal are daunting, and nothing forces insurers to stay on the marketplace, especially if they know it will be a dead edifice in two years. So what does this mean for hospitality organizations in Washington state? It means that a close look at your existing plans, compliance strategies, and information reporting are critical right now. Businesses have an opportunity to be ahead of the game, but only if they remain informed. The Washington Hospitality Association will continue to be a primary source of information as legislation unfolds in the coming months, and years. Attach your news feed to WA Hospitality social media and website platforms to make sure you are on top of all changes in the law. 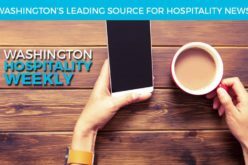 The Washington Hospitality Association provides members with free advice through member consultants. Contact your Area Coordinator to connect with the Advisory Network. The Washington Hospitality Association also offers members a raft of affordable HealthCareSolutions for all hospitality businesses; small, medium, and large. Call us today for a free consultation regarding your future healthcare plans.